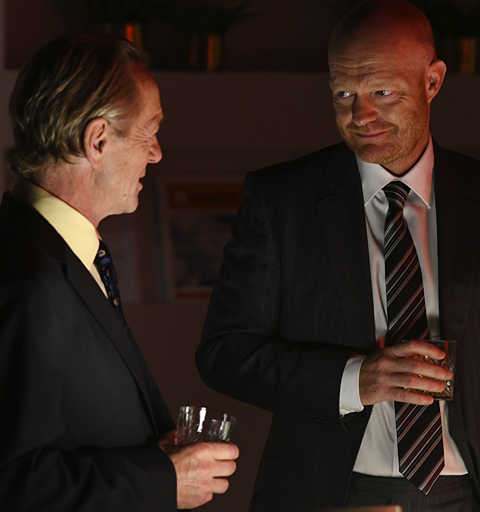 Is Mick about to wreck Max and Willmott-Brown’s plan? As Lauren struggles with her conscience, the final pieces of Max and Willmott-Brown’s plan fall into place - but when Mick gets his hands on the money to pay for the pub repairs, will they fall at the last hurdle? Phil’s delighted when his old cellmate arrives in Walford out of the blue, but it soon becomes clear he’s not the only person Aidan’s there to see. And Whitney and Woody prepare to move to Spain, but will they really leave the Square?